Whether it’s a new venture or an existing business that’s trying to transition into the online arena, your company website is a hugely powerful tool. Most businesses now boast one, but very few capitalize on the true potential of this incredible asset. In the majority of cases, it’s due to some very basic errors. Here are seven common pitfalls that could be holding you back. Go the extra mile to avoid them all, and your hopes of success will look far brighter. With over 1.3 billion websites on the market, you’d be very naive to think that users won’t be able to find a similar service elsewhere. As such, the website must create a winning first impression. Aside from eye-catching designs, navigation is vital. 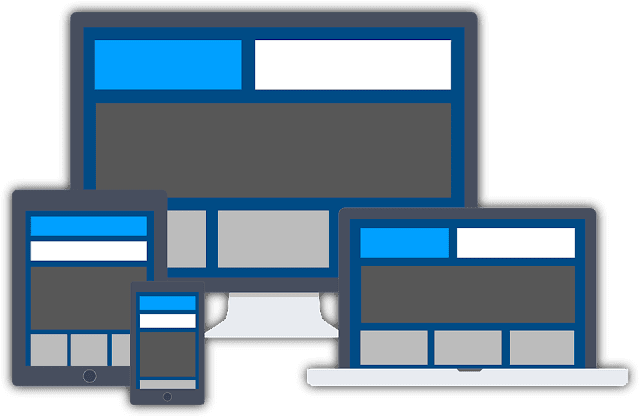 A professional UX design company will ensure that the site is built with the user’s best interests in mind. Failure to engage them straight away will result in the vast majority leaving the site in favor of the competition. Get it right, however, and you’ll instantly have an advantage over most websites. When thinking about the user experience, you need to consider the way in which they access your data. Statistics show that mobile usage has overtaken desktop usage. As such, ignoring the need for a strong mobile design could cut your audience by half. In today’s climate, creating an App can be the ideal way to stand out from the crowd. At the very least, though, satisfying the need for a strong web design on those handheld devices is essential. After all, the trend is only set to swing further towards those items over the coming years. Gaining visibility is one of the hardest challenges faces any modern website, and Google can be your greatest friend. Most entrepreneurs know this and will do all they can to acquire a strong presence. While taking those positive steps is important, you must also avoid the pitfalls. Duplicate content and black hat SEO strategies can result in Google penalties. In turn, those attempts to gain a stronger visibility will actually result in lost traffic. And with fewer people visiting the site, success becomes very unlikely. Aside from being interested in the products and services, users need to trust your business. Unfortunately, gaining their trust becomes almost impossible when the website feels secretive. Even if it’s a virtual business address, making those details easy to find is key. Likewise, you must create an easy system for clients to post their enquiries. Whether it’s a phone line or a live chat facility doesn’t matter. Good communication links are vital for any modern business site If this area is lacking, sales figures will suffer. The expectations of the modern user have evolved over the years. Unfortunately, if the content remains unchanged from one week to the next, the hopes of repeat visits becomes minimal. Adding a blog can be the perfect way to keep things fresh while giving your visitors something for free. This is also a fantastic way to promote products and encourage clients to share your site with their friends and social media followers. Besides, proving that the business is an industry leader will inspire greater trust. Whether using an expert designer or not, you must ensure that the site is blessed with various media types. This is one of the main benefits of working via the internet. Quality DLR cameras can be used to take photographs and capture video with great effects. Meanwhile, audio content can spice things up while also making it easier for visitors to digest the content. Above all else, the fact that you’re doing something more than the basic expectations can give the company the appearance of a bigger operation. Failing to incorporate those ideas could cost you dearly. Creating a great looking website with engaging content that makes customers want to buy your items is one thing. Unfortunately, it counts for very little if visitors are constantly met with a 404 message. With this in mind, you should consider the choice of web host provider to be a priority. Apart from ensuring maximized uptime, this will also encourage a greater sense of trust from the clients. The best companies will even help with data security and other features. When the site looks and functions as it should on a continued basis, success becomes far more likely. Avoid these common mistakes and your website will starting showing signs of success! I hope you enjoyed this article about simple errors that can prevent your website from being successful.